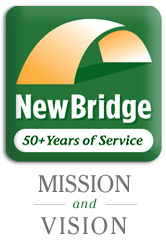 Mission: NewBridge brings balance to people’s lives through counseling, housing and education. Vision: NewBridge will be valued by the community as the preferred trusted partner in strengthening individual and family lives. 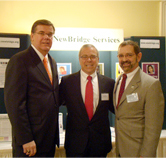 NewBridge Services Inc., a nonprofit 501c(3) organization, helps about 8,000 people of every age and background overcome challenges and live better. 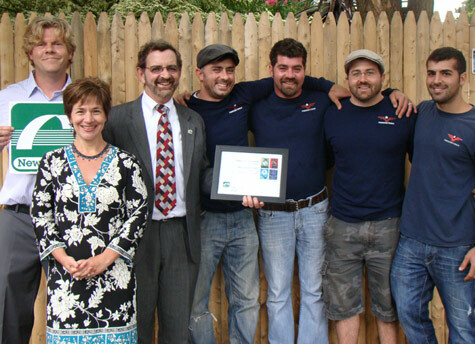 Headquartered in Pequannock Township, N.J., we have locations throughout Morris, Passaic and Sussex counties. We have two major outpatient treatment locations, five residential treatment facilities, and one drop-in community services center. Our services include adult and family counseling, substance abuse treatment and addiction recovery, play therapy for young children, school-based prevention programs, youth employment and education services, adult day treatment programs, and outreach to the elderly. We provide a range of adult residential services that encompass group homes, supervised apartments, and supportive/affordable housing, as well as case management. NewBridge partners with other healthcare providers and community service resources, and one of our primary goals is to offer a positive, safe, nonjudgmental environment that respects the rights and dignity of our clients and their families. Our services and programs are offered to private-pay individuals, with fees based on particular services, and several programs are provided at no cost. It is our policy that no client who resides within our service area be denied services due to inability to pay. NewBridge Services is licensed by the State of New Jersey Department of Health to provide mental health and addiction services, and certified by the state Department of Community Affairs to build special needs housing. It is a member of the New Jersey Association of Mental Health and Addictions Agencies and the Supportive Housing Association. Governed by a Board of Trustees, NewBridge employs adolescent specialists, addiction counselors, care managers, domestic violence professionals, nurses, nutritionists, play therapists, psychiatrists, psychologists and social workers. All staff are supervised directly or indirectly by a interdisciplinary clinical management team consisting of the Medical Director (Board of Certified Psychiatrists), the Chief Operating Officer (LCSW, CSWM) and/or Integrated Clinical and Substance Abuse Services Director (LPC, CADC).